PFC7793 (06 Compound) - Mono6 Caliper Brake Pad. Excellent for club racing type shapes as well in OE brake calipers where ABS is used. 06 compound pads are very similar to PFC 01 for both bite and torque, within 4% of those values. Excellent release and control with very low wear. Very low abraded disc wear with a “powdery type” transfer layer. 06 pads are an excellent alternative to other brands of endurance compounds but with much higher performance. 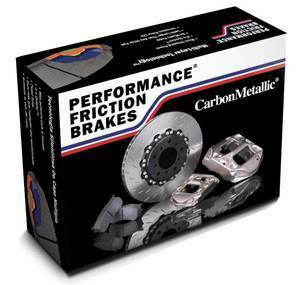 Excellent for club racing type shapes as well in OE brake calipers where ABS is used.